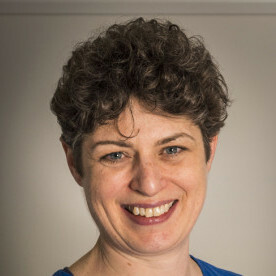 Clare graduated from the University of Glasgow in 1991. Following an internship at the University of Pennsylvania and general practice in Cambridgeshire, she completed a BSAVA/Petsavers Residency and was Staff Clinician in Neurology at the Royal Veterinary College. She became a Diplomate of the European College of Veterinary Neurology in 1996 and a RCVS Specialist in 1999. In 2007 she was awarded a PhD from Utrecht University for her thesis on Chiari-like malformation and Syringomyelia – a painful disease occurring in some toy breed dogs. For 16 years she operated a neurology and neurosurgery referral service at Stone Lion Veterinary Hospital in Wimbledon. Her professional interests include neuropathic pain, inherited diseases, epilepsy and rehabilitation following spinal injury. She treats many animals with painful and/or distressing inherited disease which motivates her research aiming to find a better way of diagnosing, treating and preventing these conditions. In 2011 she was awarded the J. A. Wight (a.k.a. James Herriot) Memorial Award by The Blue Cross Animal Welfare Charity for her work with the Cavalier King Charles spaniel society with regard to syringomyelia. In 2014 Clare received the FECVA award for best original paper also on syringomyelia and in 2016 she was made a Fellow of the Royal College of Veterinary Surgeons for meritorious contribution to knowledge. She has authored or co-authored over 90 scientific articles and papers, contributed to several veterinary textbooks and has co-edited a medical textbook on syringomyelia. In July 2018, Clare was awarded her professorship from The University of Surrey, in recognition for her postdoctoral research and teaching at the School of Veterinary Medicine.